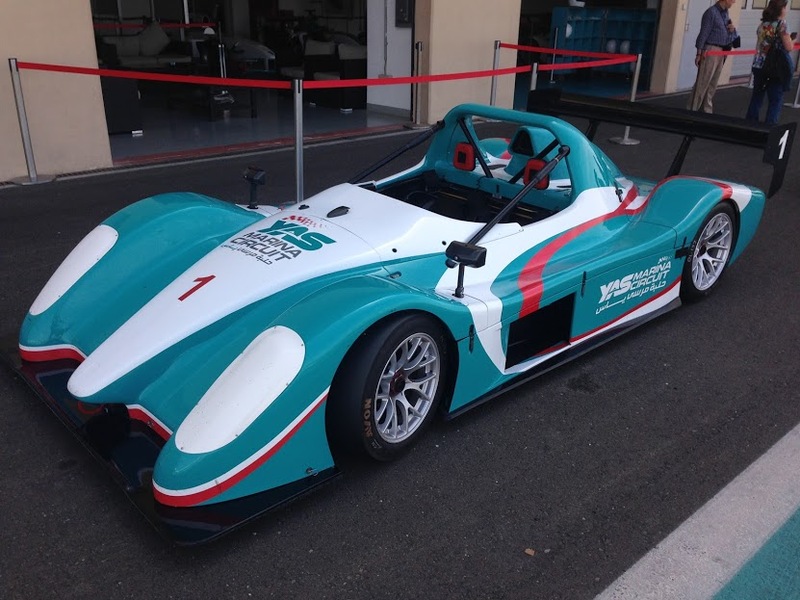 I wrote a review of the Formula 3000 Experience at Yas Marina and had an awesome time doing it. I visited again and looked to try a little something different, and found it in the awesome Radical SST Experience at Yas. 6-speed sequential gearbox; similar to the Single Seater Experience at Dubai Autodrome, no flat foot shifting or auto-blip. The car is a pretty tight fit with the 2 person seating – the instructor has a set of pedals as well; clutch and brake. I thought this would be just like the Formula 3000; a couple acclimation laps in other cars, same version of “Yas North” – and a follow the instructor type scenario. All of these were wrong assumptions! The acclimation laps were done in our cars. The track was run “with corkscrew” – so without the full straight and with some elevation changes and extra turny bits. I thought it might be less fun with an instructor in the car as I generally expect them to err on the conservative side; which is smart and they surely do, although they give you a lot of rope at Yas as well! I never felt once that he did anything to hold me back. Since there’s no instructor car, you pretty much just get to go at it until your instructor reels you in – so there can be a lot more of catching and passing scenarios in this experience, and you’re driving at your own pace. The experience is cheaper than the Formula 3000 at 1200 AED vs. 1750 AED. An optional 200 damage waiver is available, which I also took. It seems like the instructors prefer to drive these over the Formula 3000s and I’ve read some people say that they can corner harder. Both experiences are major fun and I’d happily sign up for either again – one of the more fun aspects to me really is that with this one you are just running out at your own pace, and you can try and catch and pass people, which makes it more fun to me. Thoroughly enjoyed the experience today and highly recommend giving it a go if you’re in town! The big feedback my instructor gave me was that I was either braking too early with how hard I was braking, and should do it smoother and slower, or to do just do it later. I’m totally coasting in to the turn there, and the primary reason for this was that I would brake at the red braking cones and didn’t think I could get away with doing it later. In reality I think if the instructor is comfortable with you, then you can start choosing your own markers. Which is of course always better anyway, if for nothing else that the cones can get hit and be moved. I think some of them were also set just to be set for a quick touch of brakes. Can’t wait to go back and do it again as my comfort continues with the track as well as getting to drive in some real deal race and track cars like these. Outright acceleration – next time i’ll get on it sooner and get into 6th!